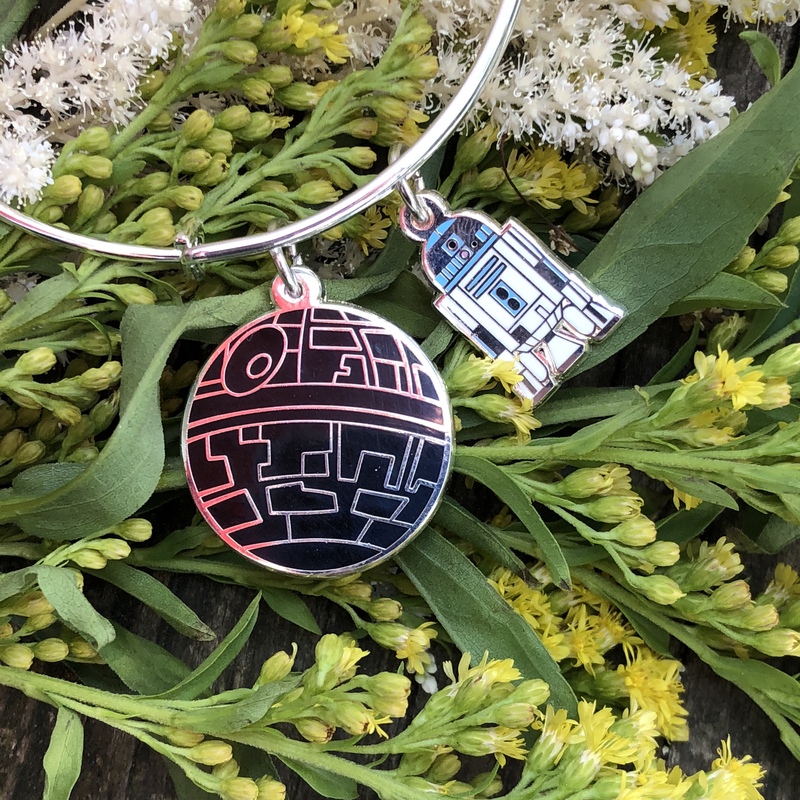 Products / I love you to the Deathstar bangle- 2 colors! This is a wire bangle bracelet. It can be 2”-3.5” and comes in a silver or gold colored metal. 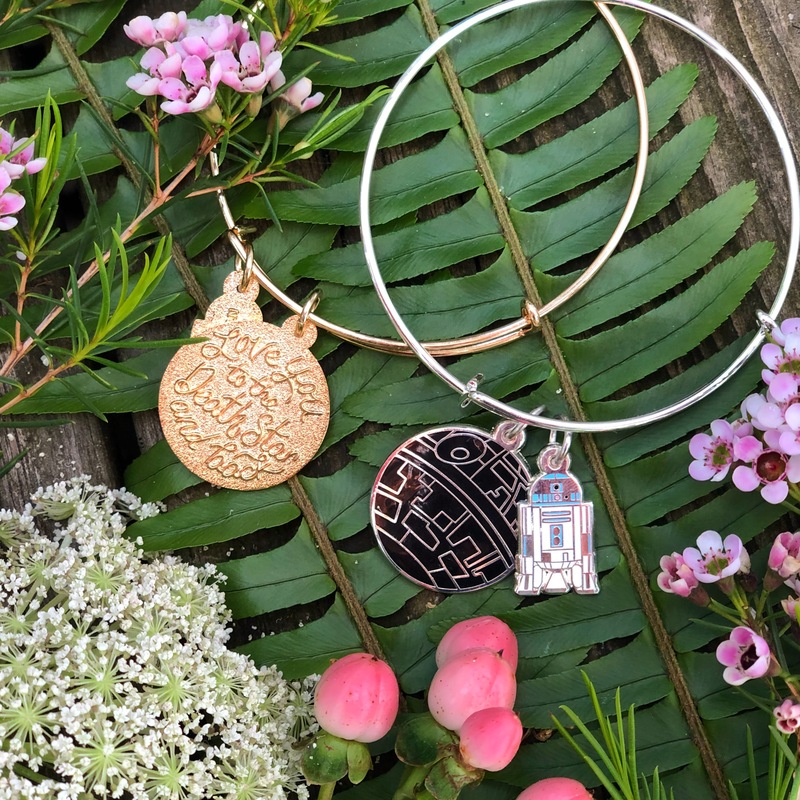 It features 2 custom made charms, a deathstar with the quote “love you to the deathstar and back” on the back of it, and a mini R2D2 charm. The colors on these pins are white, pink, black and light blue hard enamel. When my son was 3 we used to read a story and at the end it would say “I love you to the moon, and back” to show that the love is so vast it’s incomprehensible. When my son was about 4, we were snuggling and talking about Star Wars and how much we love each other. I always came up with the furthest place and he was very frustrated. Then his eyes lit up in triumph. “I love you to the deathstar and back!” He shouted. And I thought, that’s perfect, what a perfectly nerdy way to show someone that you love them an incomprehensible amount. 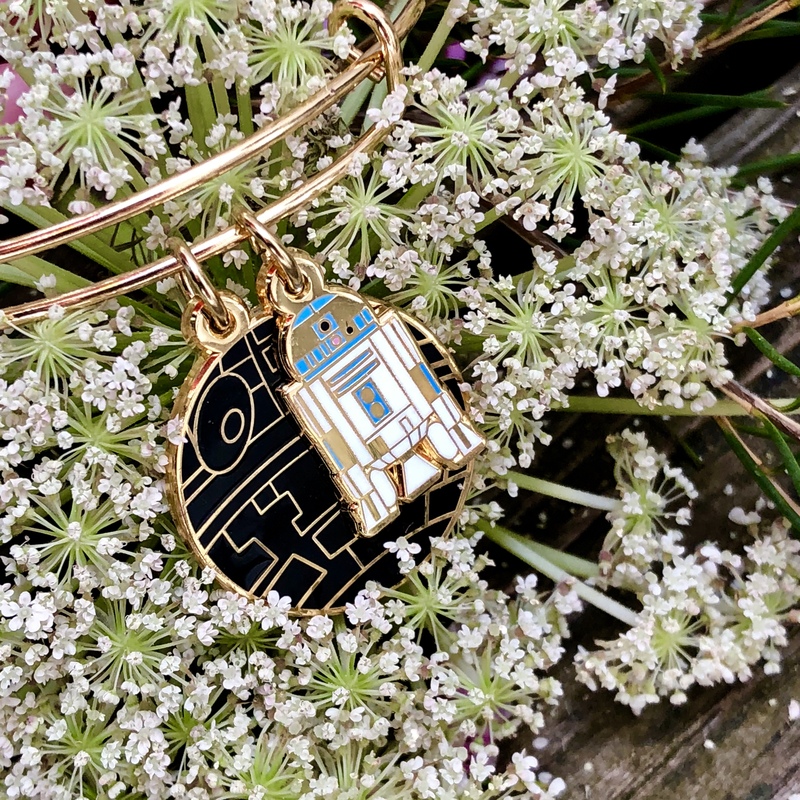 This bracelet is perfect for showing your love to a partner, your mama, your best friend, or to treat yo self and remind you how much love you have for Star Wars.